A New Meaning to Drop-Ship! Just drop your product into the R3200 Vertical Bagger with FOX IV Labeler and ship it! The R3200 Vertical Fulfillment Bagger from PAC Machinery with integrated FOX IV print and apply does all the work in between. The R3200 with Labeler forms the bag to size (with poly tubing), open it, labels it for shipping, seals it and moves it out of the way. 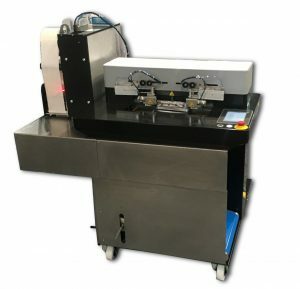 Using poly tubing enables variable length bags to be made, lowers material costs, and gives operators the ability to change the bag length at the push of a button. Of course, pre-formed bags on a roll can also be used. 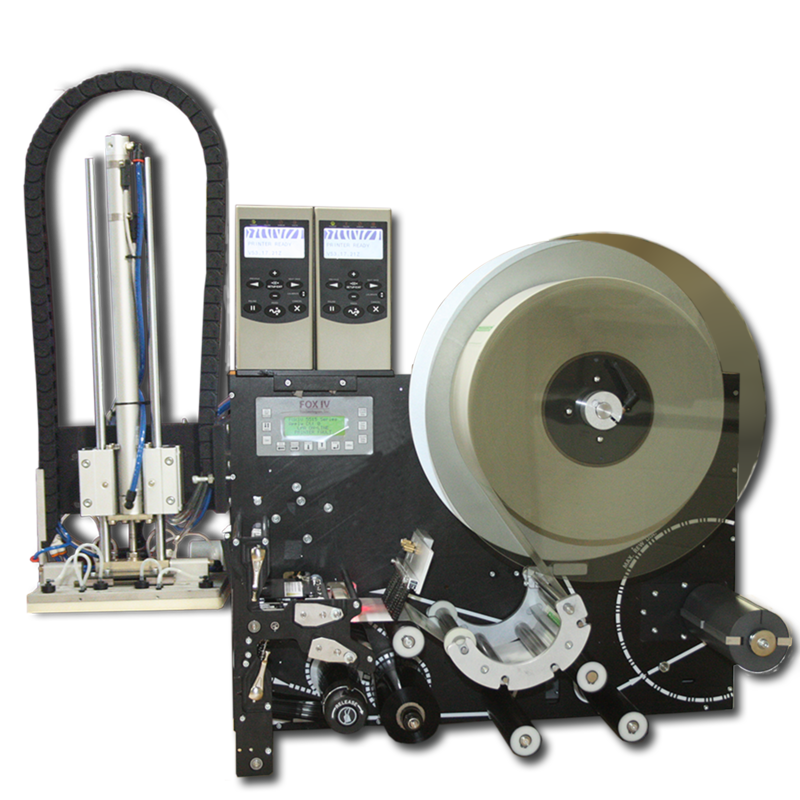 The FOX IV label printer applicator, which ties into your WMS or interfaces with a workstation, prints the shipping label or shipping label/packing slip (TwinPrint® label) and automatically applies it to your bag. No fuss, no muss. Just simple, cost effective, and fast order fulfillment. The R3200 can be equipped with the FOX IV print and apply of your choice – the compact Mini, or the efficient TwinPrint® dual sided packing slip/shipping label print and apply. 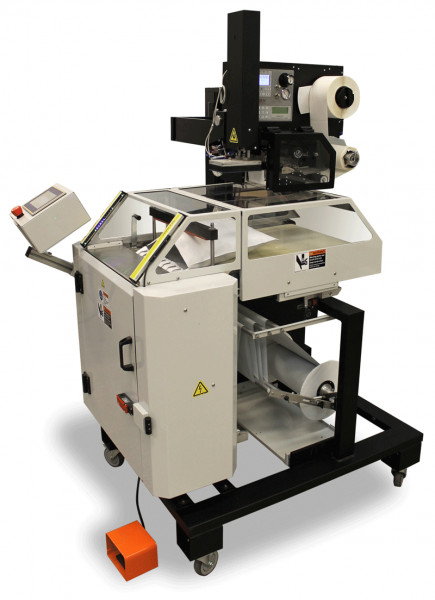 With the TwinPrint®, both the packing slip and shipping label are printed and applied at once, eliminating the need to match and insert the packing slip into the order bag. The PAC R3200 with FOX IV print and apply is ideal for distribution, mail order and e-commerce shipping applications such as soft goods, apparel and any other items that can be shipped in coex poly mailers.